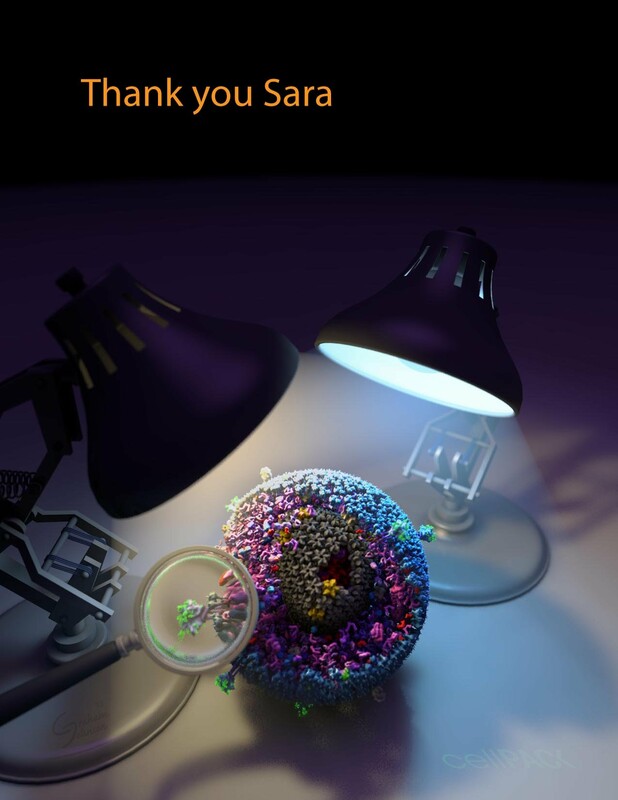 This page will feature interesting or otherwise entertaining cellPACK images including curiosities found in the data/models as well as artistic interpretations. 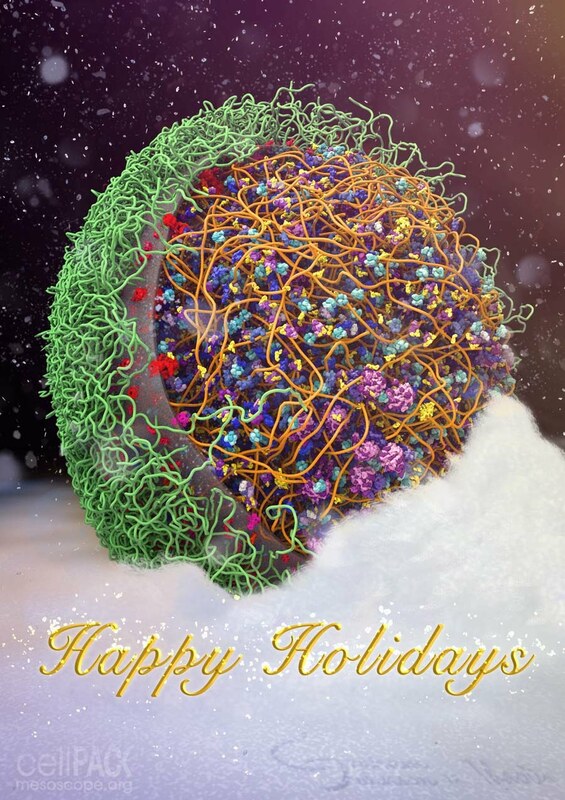 For now, here is a link to amazing entries into the autoPACK Visualization Challenge and cellPACK's first holiday card. 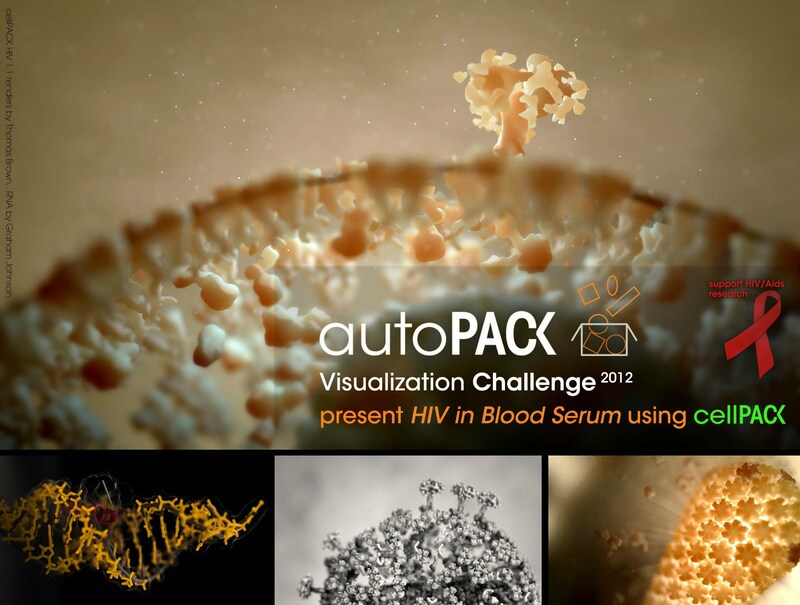 Please visit the autoPACK visualization Challenge 2012 winners to see stunning images and animations featuring a very early model of HIV created with cellPACK. Card by Thao P. Do and Graham Johnson of mesoscope.org ©2014 for the Chimera group at RBVI.